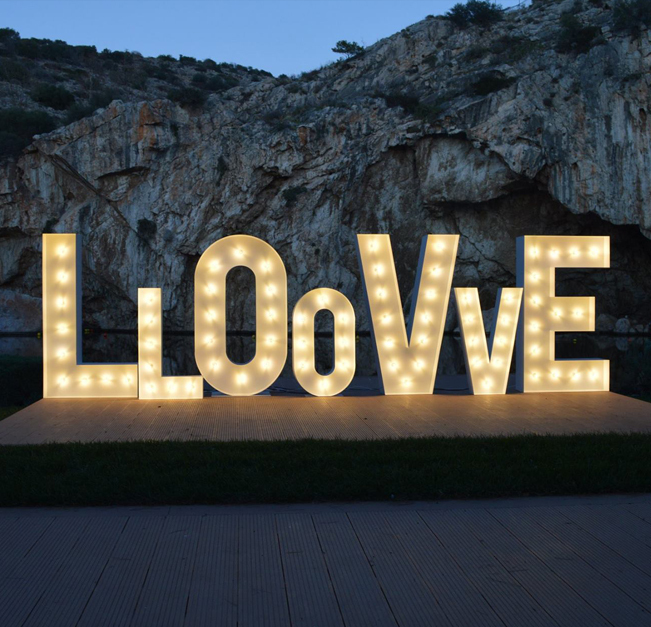 Are you looking for the perfect illuminated wedding letters? It is the new hottest trend all around the globe that started in the US, Europe, Asia and Australia. 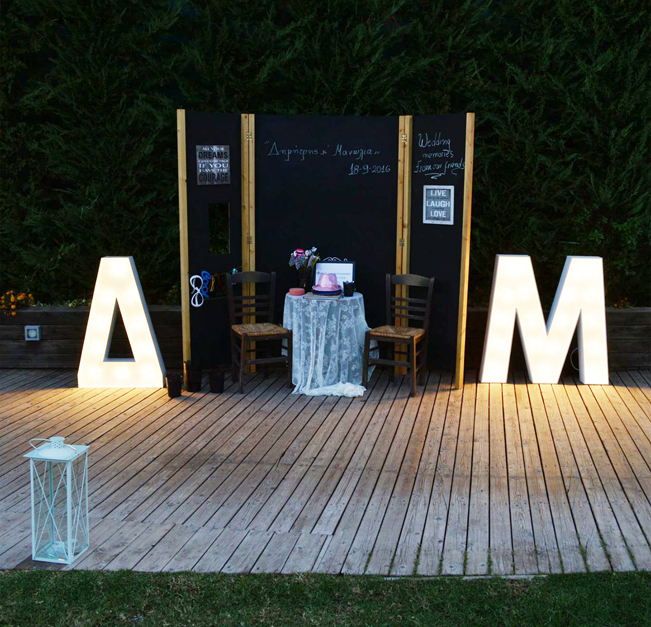 Wedding DJ will create your own illuminated wedding letters in the shape, the size as well as the style you desire! We have already available every single letter both in English and Greek, in Vintage Style, all 1 meter high. We also have readily available the words “LOVE” in the height of 1 meter and 1,5 meter and the words “MR & MRS” in letters of 1 meter height. Upon your request we can create the illuminated wedding letters of your choice.